DNG estate agents are delighted to introduce to the market No. 76 Latchford Green.This bright and spacious 3 bedroom semi detached family home is presented in excellent condition throughout and has side access to a wonderful n/w facing rear garden. Ideally located just off the Phibblestown Road No. 76 has ample communal parking to the front of the property. 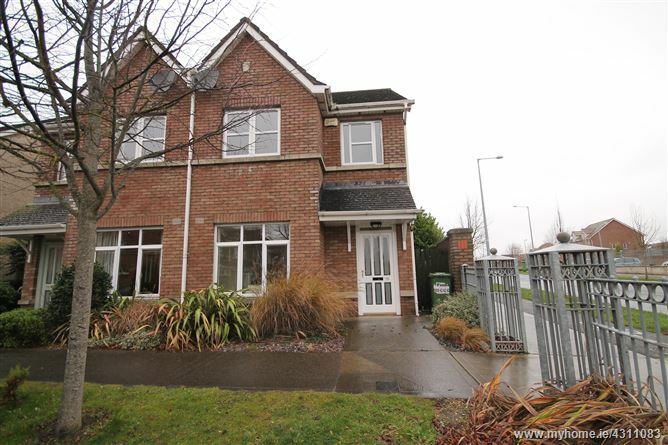 Latchford is nestled between the villages of Clonee and Clonsilla and is a gentle stroll from the nearby village of Ongar. The surrounding area and villages play host to a wide variety of amenities. Luttrellstown Golf Club, The Westwood Fitness Centre, The Phoenix Park, Blanchardstown Town Centre, National Aquatic Centre, Castleknock Golf Club and Clonee Lawn Tennis Club are only a sample of the facilities that can be enjoyed whilst living in Castlegrange. 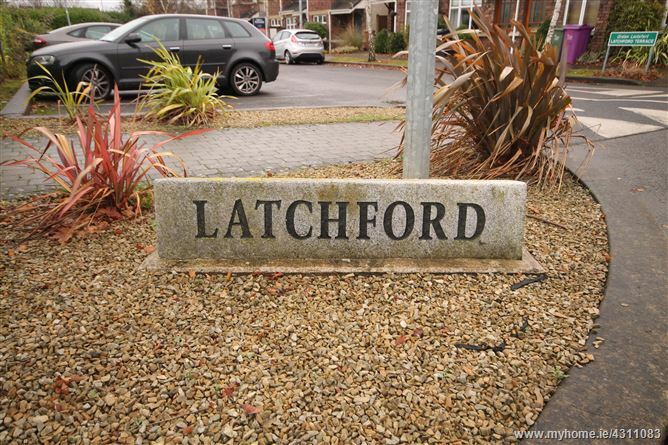 Tucked away between the N3 and N4, Latchford is ideally located for commuting to the City Centre or to the surrounding areas of Navan, Trim, Ratoath, Dunshaughlin and the M3/M4. There are superb transport links within walking distance such as the Hansfield and Clonsilla train stations and an excellent Bus Service providing easy access to Dublin City Centre and all local amenities. Latchford also benefits from a prestigious list of schools both National and Post Primary located within easy commuting distance. 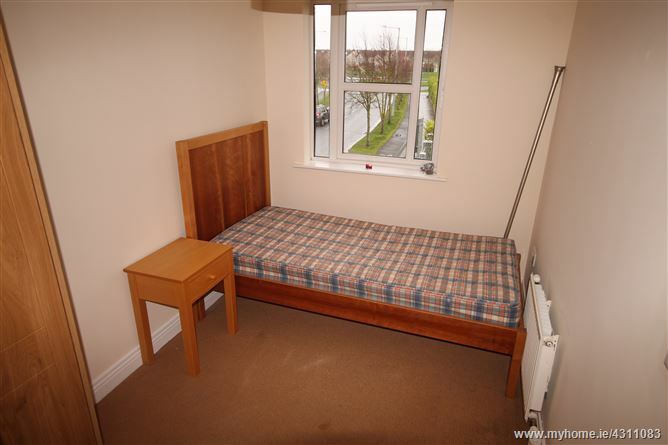 It is a mere stone's throw from the esteemed Blanchardstown Institute of Technology. Both the Blanchardstown and Liffey Valley Shopping Centres are located within easy reach of Latchford. They offer a convenient and boutique style of shopping with a host of fine restaurants and popular watering holes in the adjacent villages of Castleknock, Clonee, Blanchardstown, Dunboyne and Dunshaughlin. 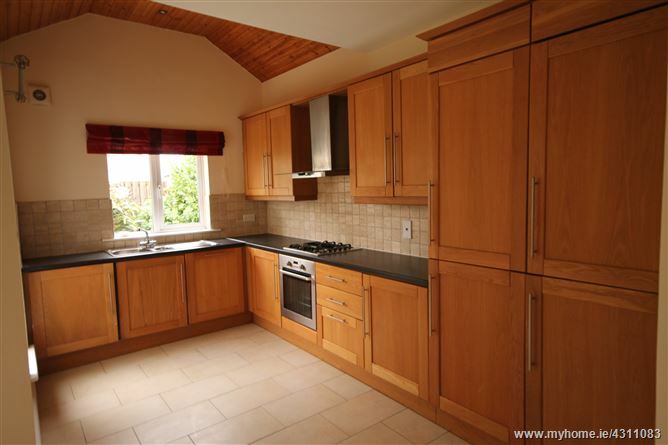 This property is sure to interest buyers seeking a beautiful family home in a highly desirable location. Entrance Hallway - With wired and fitted alarm. 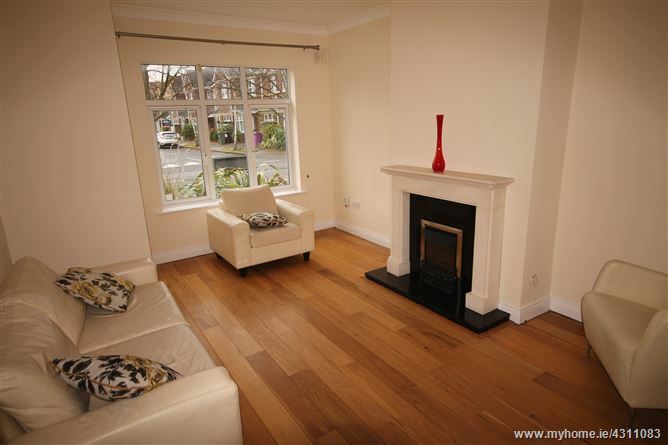 Living room - Located to the front of the house, with laminate flooring & built in log effect electric fire place. 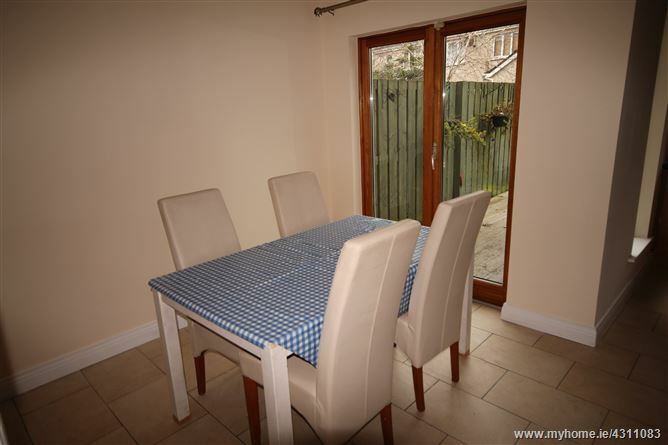 Kitchen / Dining Room - Fully fitted modern walnut kitchen with brushed chrome handles to all units and adjoining dining area with double doors leading to the rear garden. 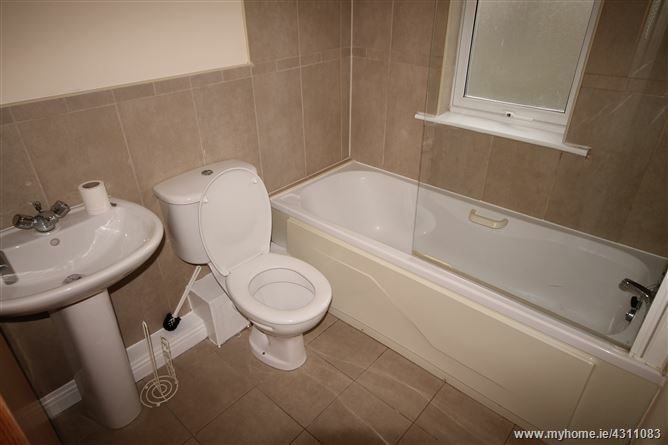 Guest WC - with tiled flooring, W.H.B and a W/C. Hallway - Carpeted stairs and landing area with hot press with storage shelves. 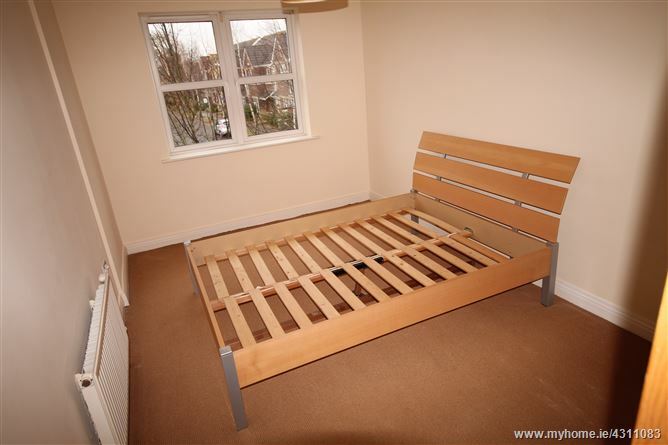 Bedroom 2 - With carpeted flooring and fitted wardrobes. 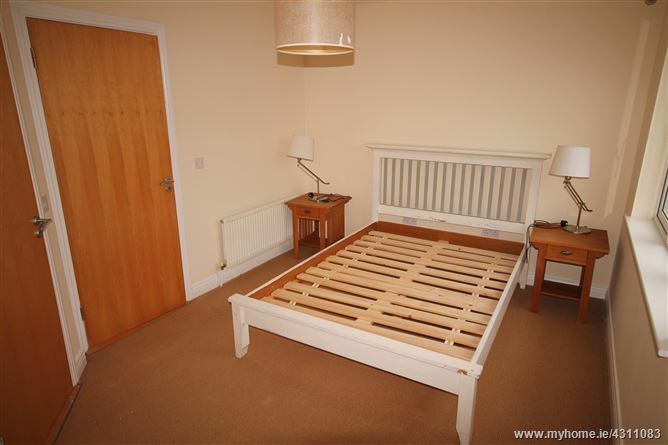 Bedroom 3 - To the rear with carpeted flooring and fitted wardrobes. Main Bathroom Tiled flooring, W.H.B, bath/shower and a W/C. 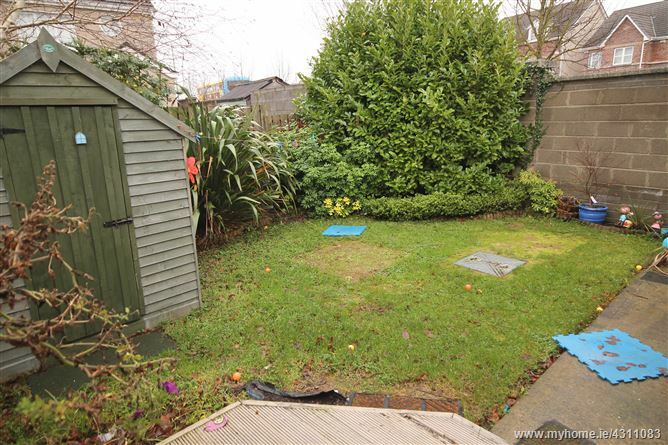 Outside there is ample parking to the front and to the rear a bright spacious garden with barna shed. Viewing is very highly recommended to fully appreciate this excellent home. Viewing by appointment. Please contact Emma Murphy on (01) 4912600 to arrange viewing.